Again Outback WA is being called on to keep the nation afloat, by doing its patriotic duty. It’s not enough to supply most of the mining goodies, but we are also solving the imbroglio over asylum seekers (aka boat people, unwanted aliens, Islamic terrorists, queue jumpers, etc.). Following the successful establishment in Leonora (just up the road from Kookynie) of a detention centre housing about 200 asylum seekers, the city fathers of Kookynie are applying to have another centre built here. Online sister journal New Matilda reported the real-life impact and positive outcomes in Leonora: prejudices dissipated, jobs created, school enrolments up, and economic benefits spin-off to the wider business community. With the early history of Afghan involvement as camel drivers in the ‘opening up’ of the outback, Kookynie residents are keen to show their recognisance of this contribution by welcoming Afghan refugees. 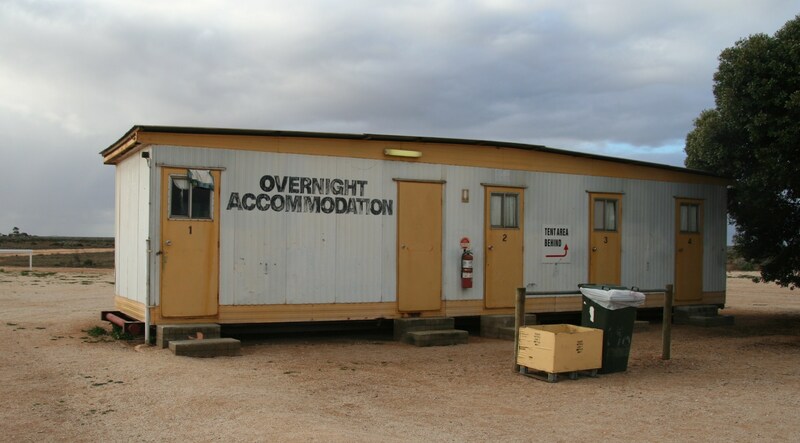 Although the hotel has some off-season room availability, Council may have to truck in a few dongas (simple cabin accommodation, often used for shearers or miners) to house them. While ‘processing’ (or assessing) their applications will be fast-tracked, they can have fun fossicking in the old goldfields, learning aussie rules, helping with town clean-ups, and boosting town business by buying raffle tickets at the pub and enjoying its hospitality. The new counter menu of halal kebabs will be a favourite, and drinking problems non-existent. Soon enough we’ll have new model outback citizens, ready for employment in the booming mining industry nearby. Meantime the heat will go out of the debasing national debate, and we can concentrate on real problems, like carbon & resource rent taxes, etc. Taking ‘boat people’ off the front pages is also a win-win solution for Julia-Tony and their minions. KC endorses sending a message to the rest of Australia to embrace onshore ‘processing’, which polling shows is what the largest minority wants anyway. Capital punishment for people smugglers might be the answer. It seems to put an end to the drug trade in Asia. I recommend the film, “Lucky Miles”, about refugees dumped by a smuggler on a remote WA beach. Watching it leaves me thinking that deep down Aussies always support the underdog. Beware the simple draconian solution! Firstly, we don’t do capital punishment in this country any more, and I don’t believe that the drug trade has ‘ended’ in SE Asia. Secondly, if only life imitated art…..Aussies have had plenty of time to consider the refugee underdogs, and still stubbornly seem to resist treating them humanely. Time is long overdue for some real leadership on this one, Sue. Les années passent, les problèmes restent. Difficile de rester optimiste. Pourtant j’aimais bien l’idée de revitaliser Kookynie et son pub.